I.6.11 Pompeii. May 2010. Entrance. Photo courtesy of Rick Bauer. I.6.11 Pompeii. December 2004. 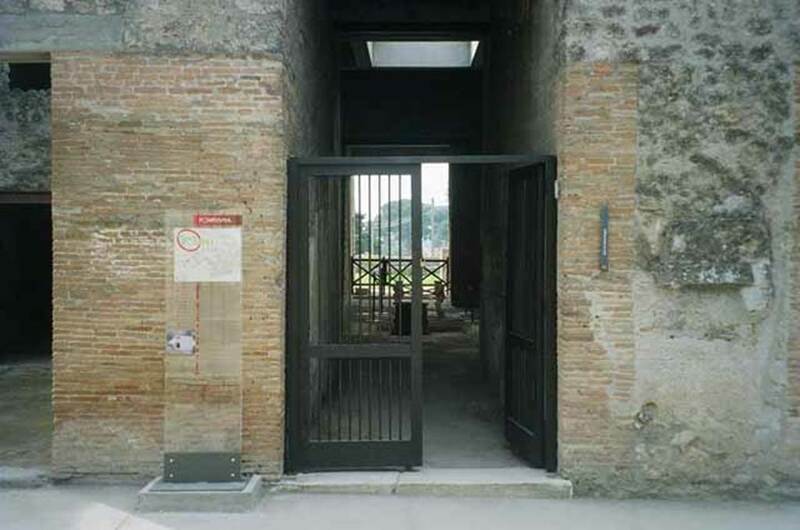 Entrance. 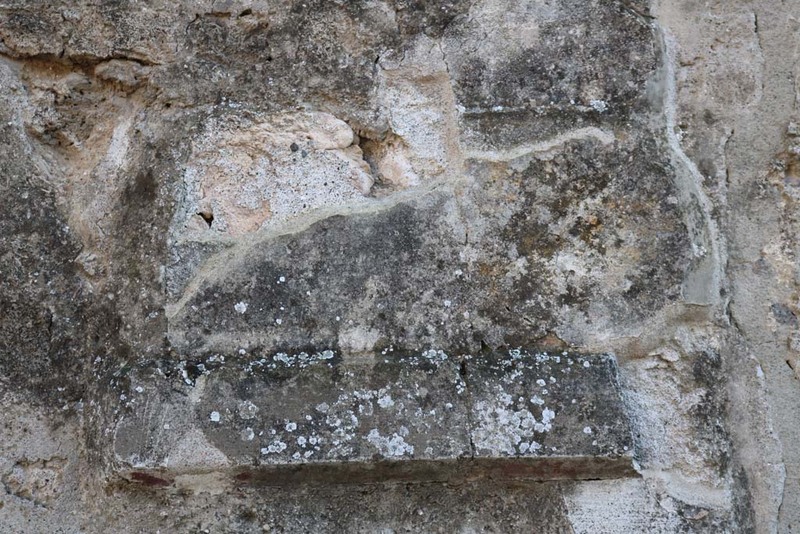 According to Della Corte, there was a mutilated graffito found on the east (left) side of the entrance doorway. 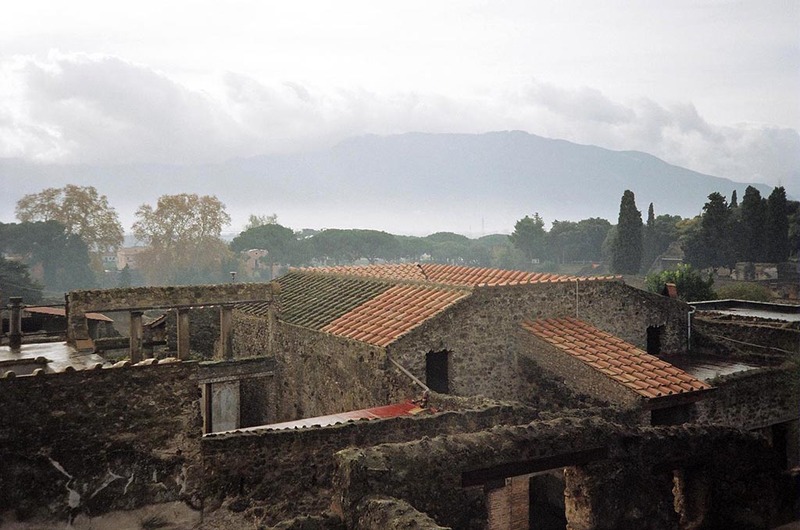 I.6.11 Pompeii, on right. 1964. Looking south on Via dell’Abbondanza. Photo by Stanley A. Jashemski. I.6.11 Pompeii. November 2009. 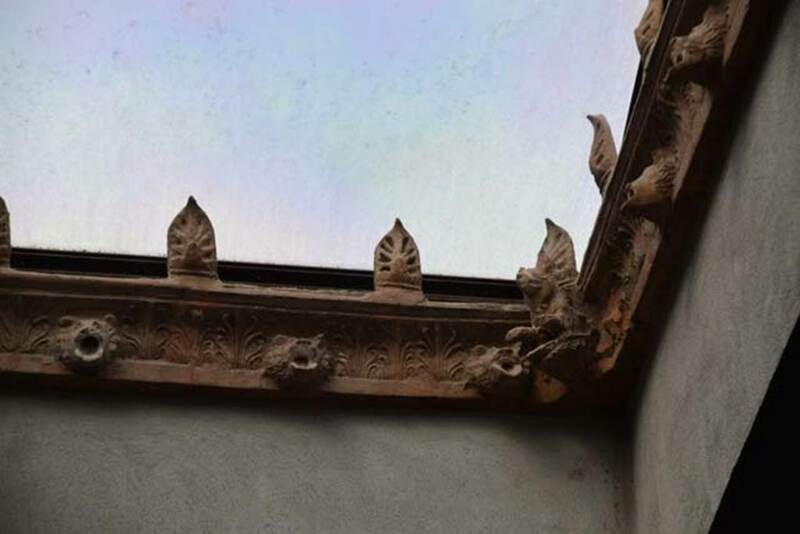 View from Casina dell’Aquila showing new roof. Photo courtesy of Rick Bauer. I.6.11 Pompeii. May 2010. 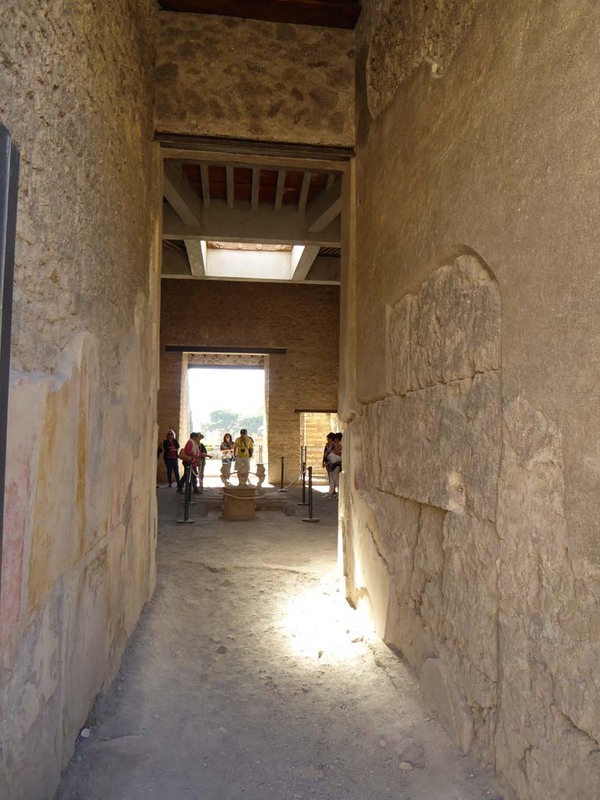 Looking south from fauces into atrium with restored compluvium. 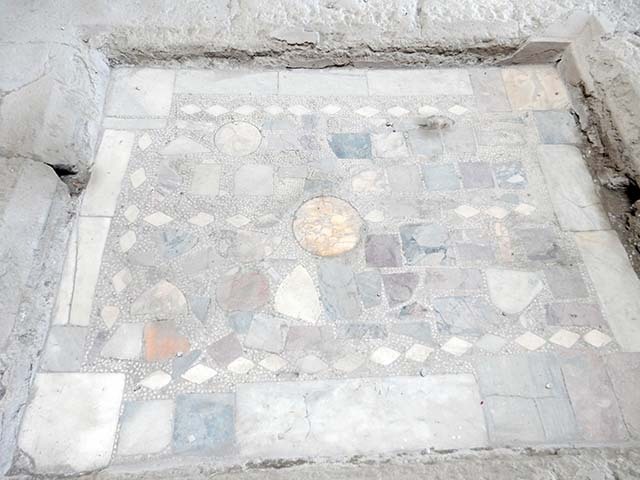 According to PPM, the east wall of the entrance corridor (fauces) was of III style and consisted of a geometric zoccolo (discoloured and faded). 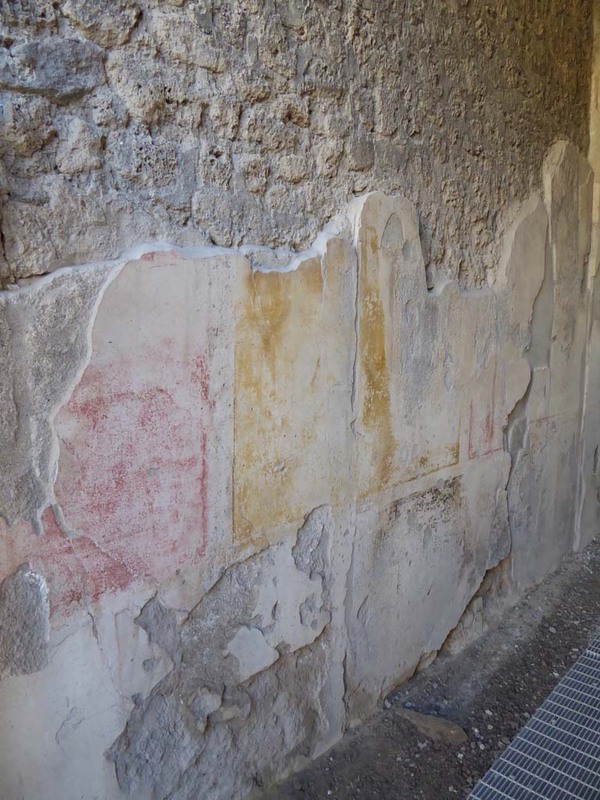 The middle area of the wall had a central aedicula with a yellow background between red side panels. The small landscape paintings (vignettes) at the centre of the panels have now disappeared. I.6.11 Pompeii. May 2015. Looking north along east wall of fauces. Photo courtesy of Buzz Ferebee. 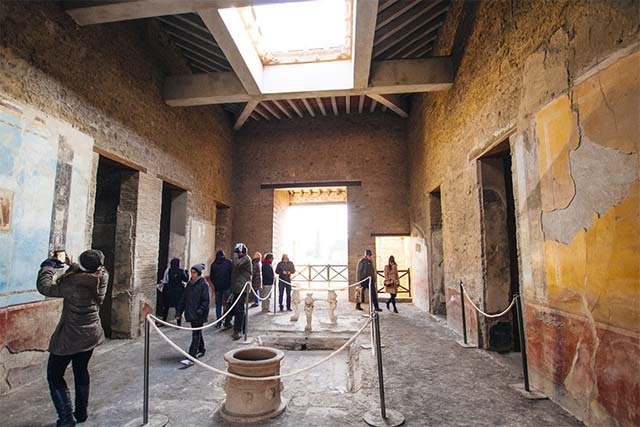 I.6.11 Pompeii. November 2016. 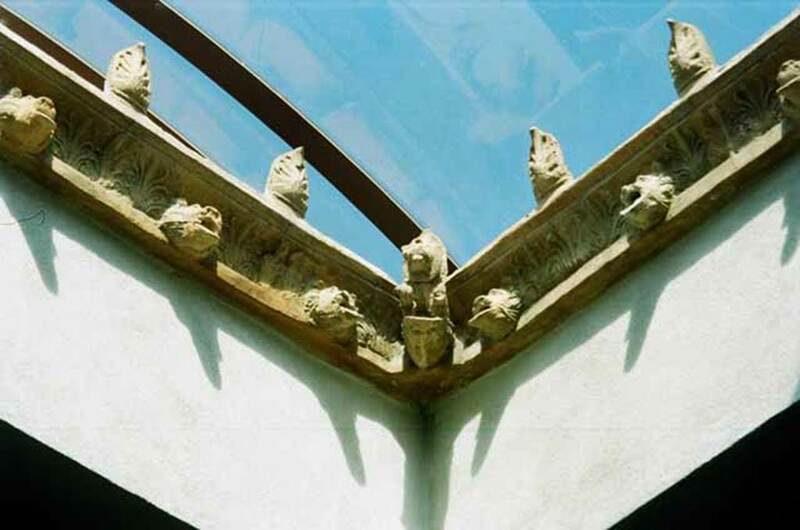 Decorated compluvium above impluvium in atrium. Photo courtesy of Marie Schulze. I.6.11 Pompeii. May 2010. 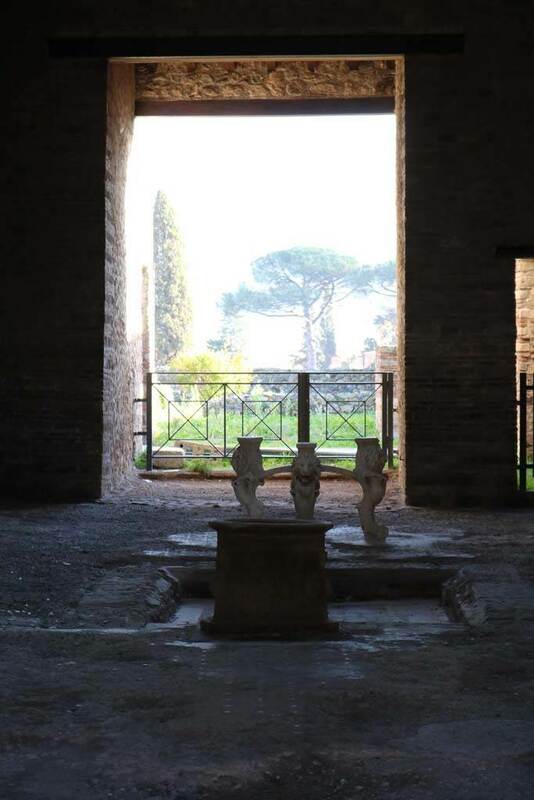 Restored compluvium, and rainwater spouts. I.6.11 Pompeii. May 2010. 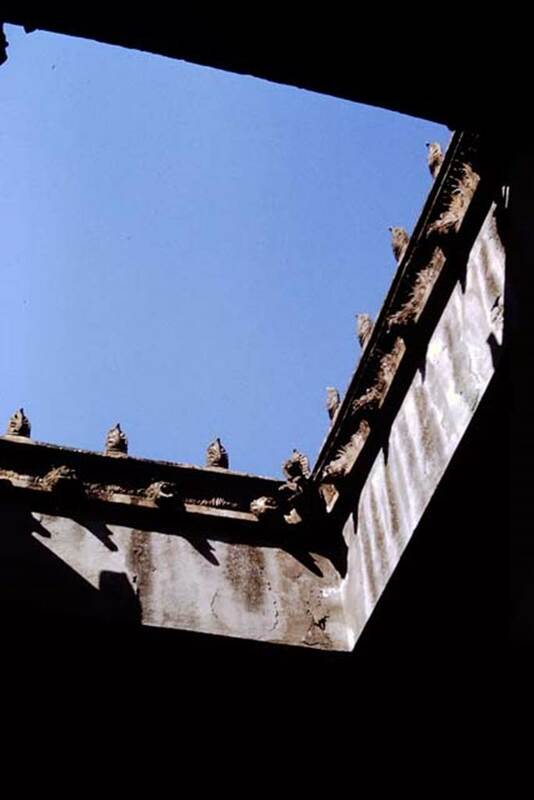 Detail from restored compluvium, and rainwater spouts. I.6.11 Pompeii. May 2015. 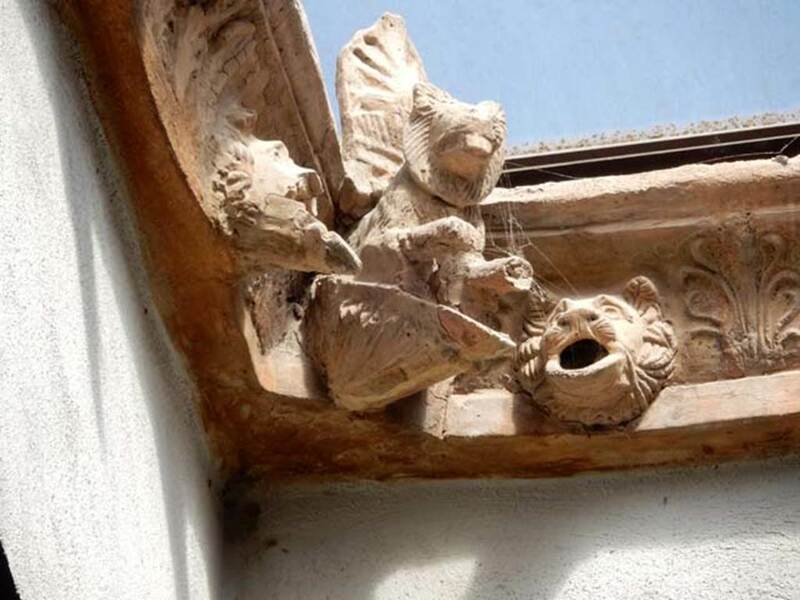 Detail from restored compluvium, and rainwater spouts. Photo courtesy of Buzz Ferebee. I.6.11 Pompeii. June 2010. 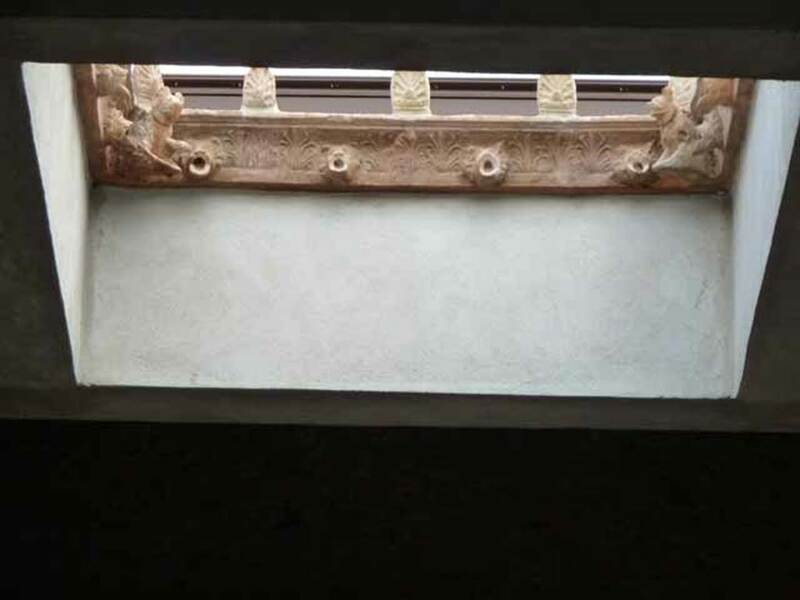 Restored compluvium. Photo courtesy of Rick Bauer. 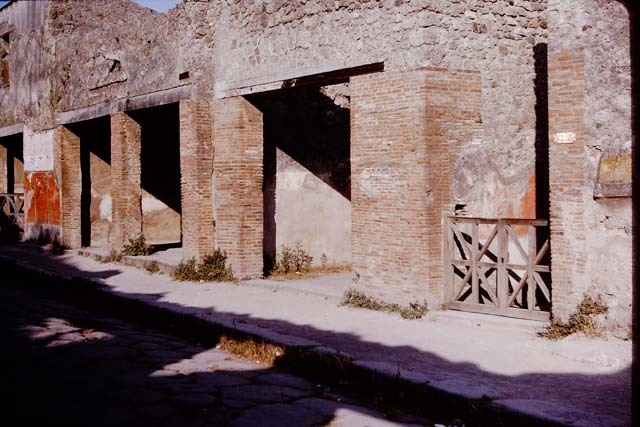 I.6.11 Pompeii, 1968. Compluvium. Photo by Stanley A. Jashemski. 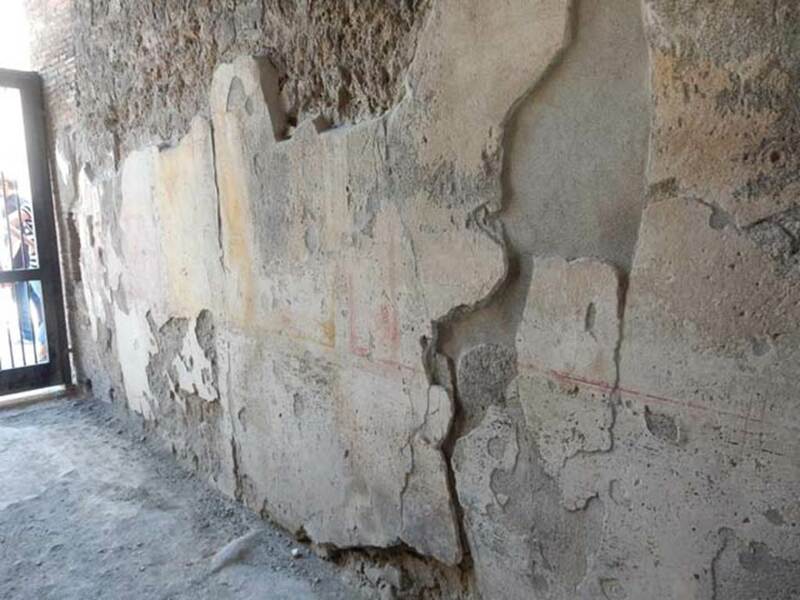 I.6.11 Pompeii. 1959. Compluvium. Photo by Stanley A. Jashemski. I.6.11 Pompeii. December 2014. Atrium, looking south. Photo courtesy of Katharina Kuxhausen. I.6.11 Pompeii. May 2017. 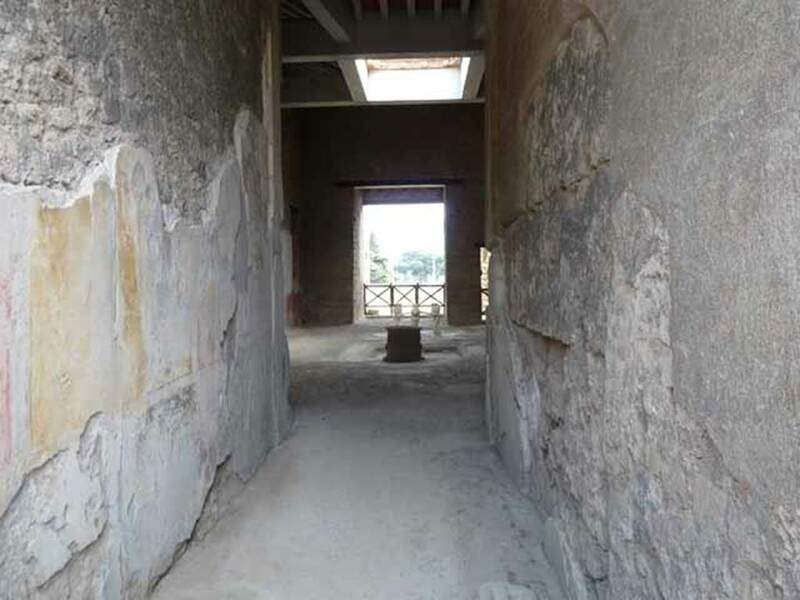 Looking south towards puteal on north side of impluvium in atrium. I.6.11 Pompeii. May 2015. Looking south across atrium with impluvium and puteal. Photo courtesy of Buzz Ferebee. I.6.11 Pompeii. May 2010. Looking south across atrium with impluvium and puteal. Photo courtesy of Rick Bauer. I.6.11 Pompeii. December 2013. Looking south-west across impluvium. 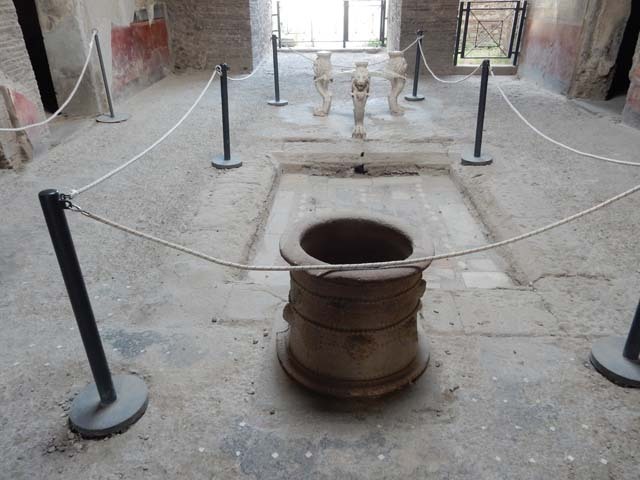 I.6.11 Pompeii. May 2017. 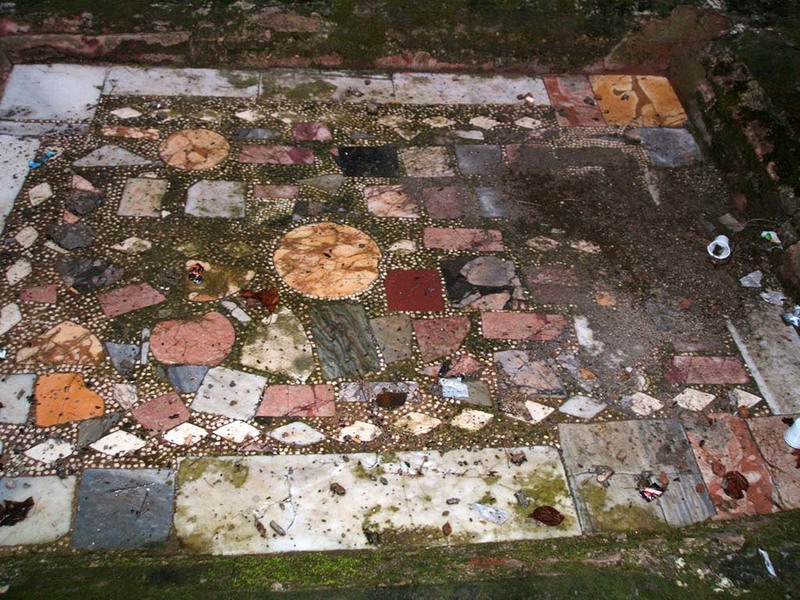 Detail of coloured marble base of impluvium in atrium. Photo courtesy of Buzz Ferebee. I.6.11 Pompeii. December 2004. Coloured marble impluvium base in atrium. I.6.11 Pompeii. October 2004. 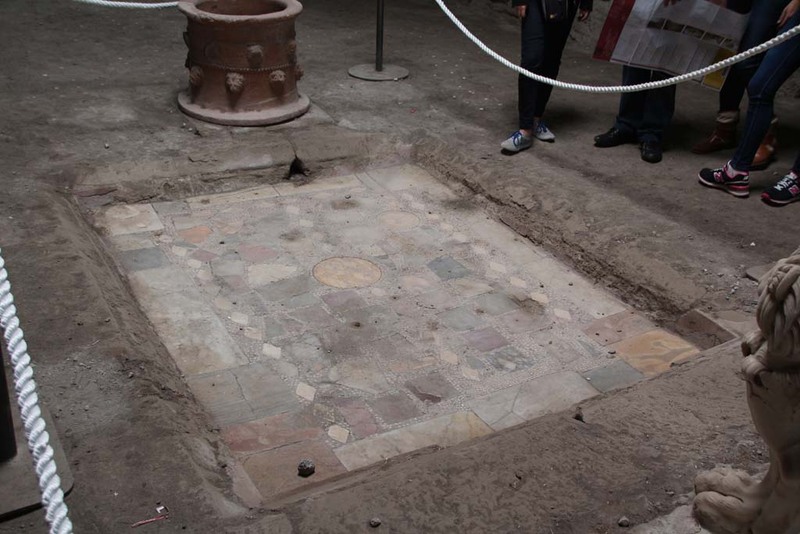 Coloured marble impluvium base in atrium. Photo courtesy of Nicolas Monteix. 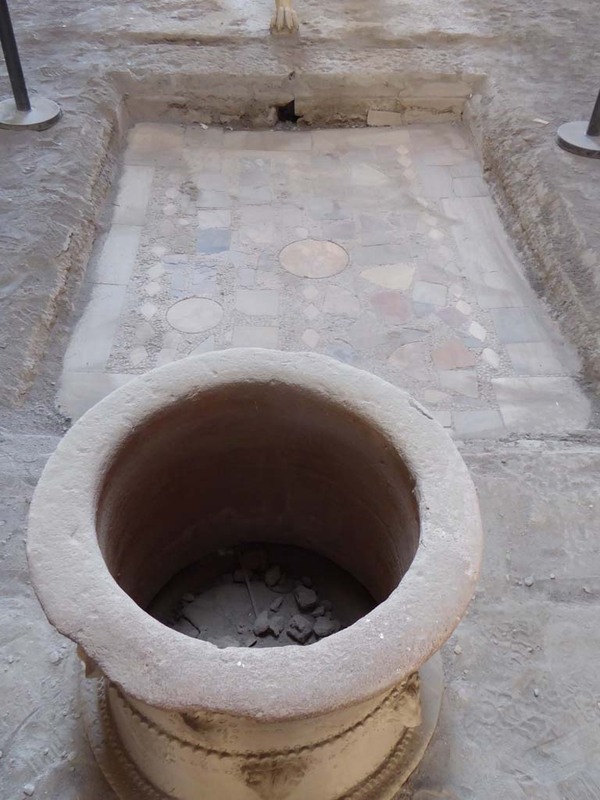 I.6.11 Pompeii. December 2004. 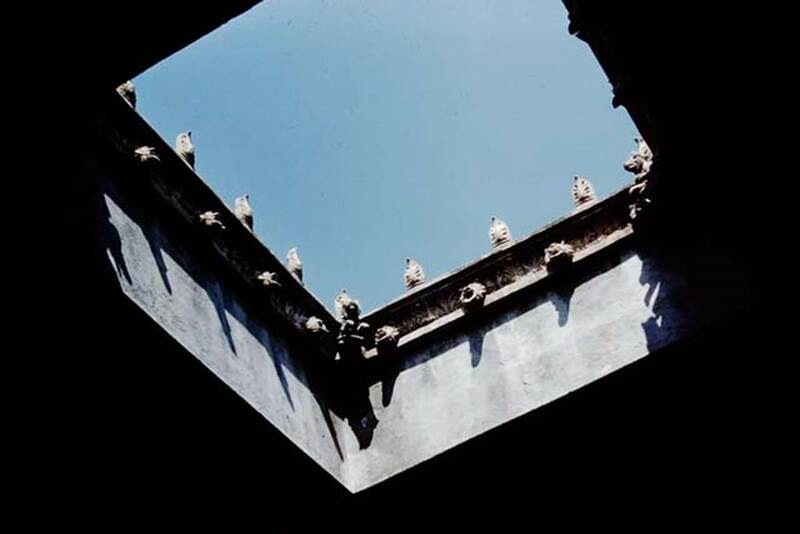 Atrium. 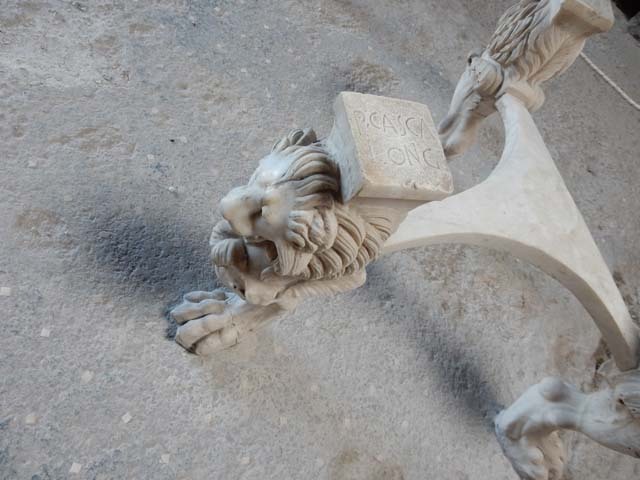 Marble tripod table legs with lion heads and paws. Inventory number 3921. 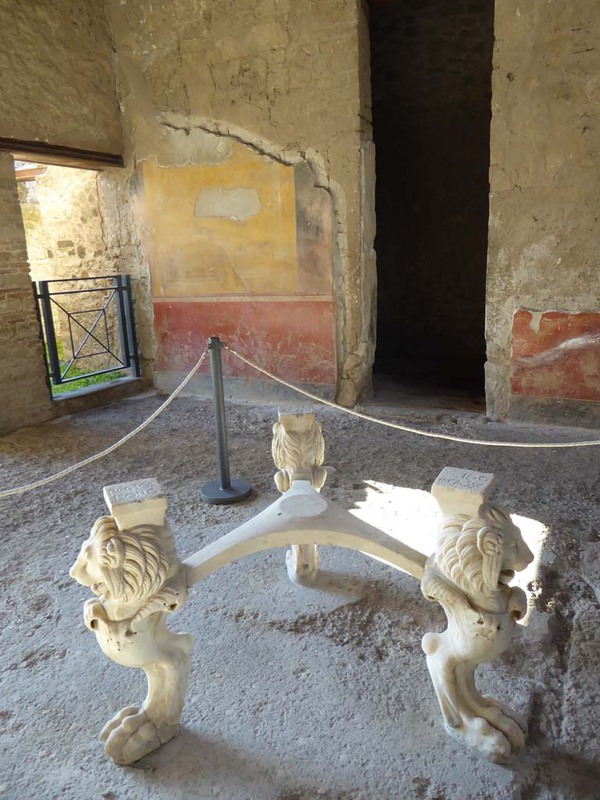 This house was named the Casa di P. Casca Longus from the inscription on the top of these table legs. 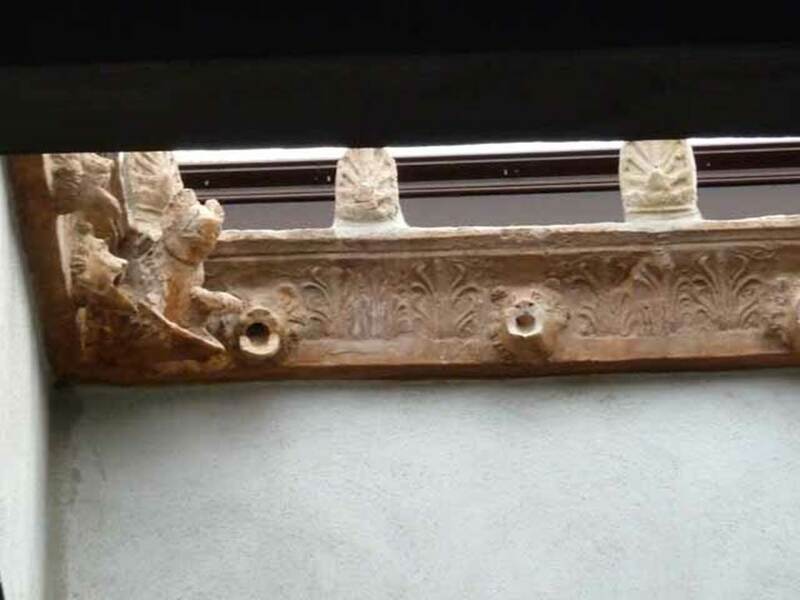 They were found in garden of House I.6.8-9 and moved to I.6.11 by the excavators. See Carratelli, G. P., 1990-2003. 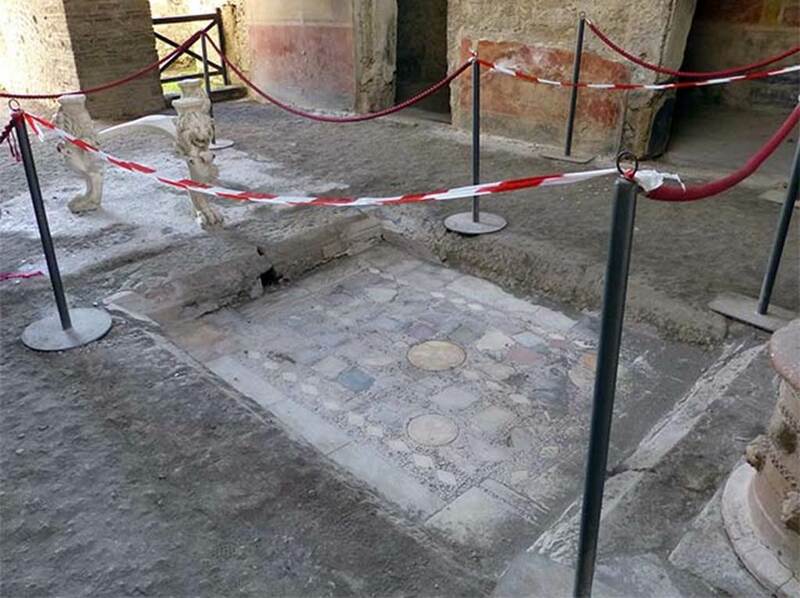 Pompei: Pitture e Mosaici: Vol. I. Roma: Istituto della enciclopedia italiana. (p. 369). According to Allison, this name is unsubstantiated, see http://www.stoa.org/projects/ph/house?id=3. 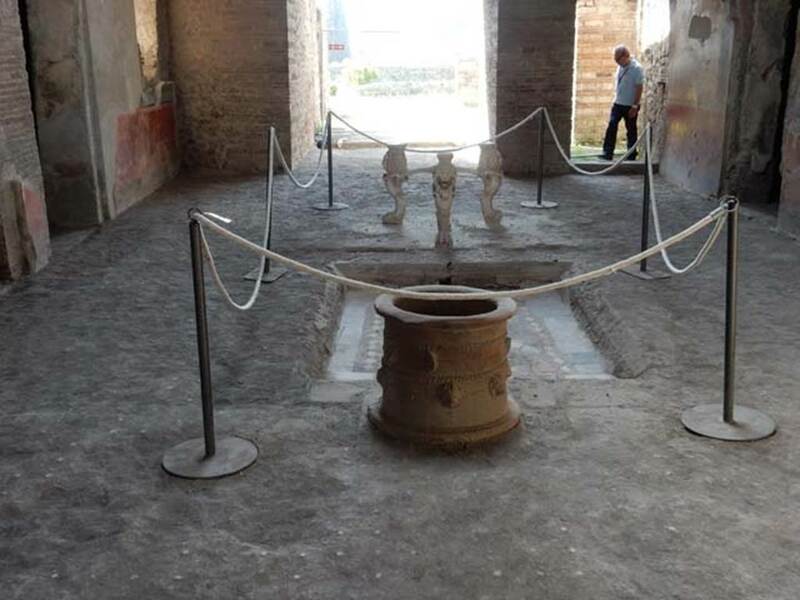 I.6.11 Pompeii. 1932. 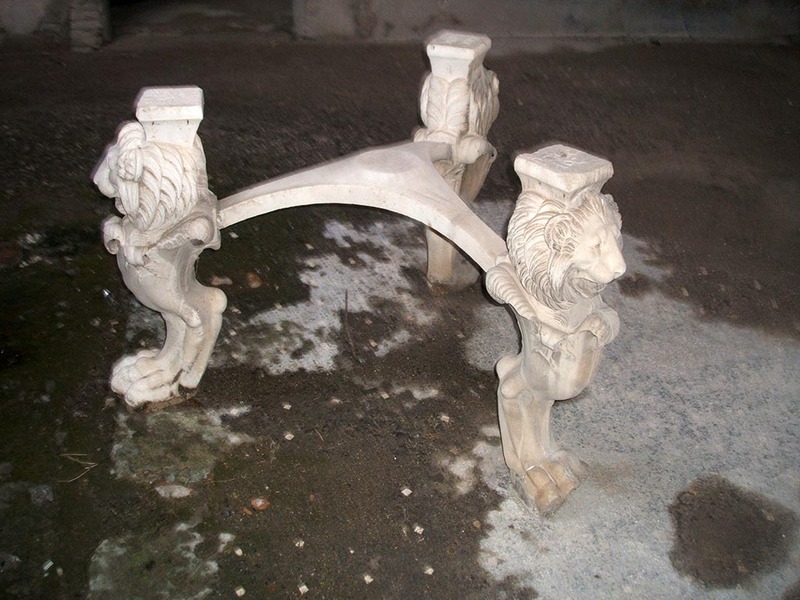 Marble tripod table legs with lion heads and paws, in atrium. Photo taken during a shore-visit from the ship Resolute’s world cruise in 1932. I.6.11 Pompeii. May 2010. 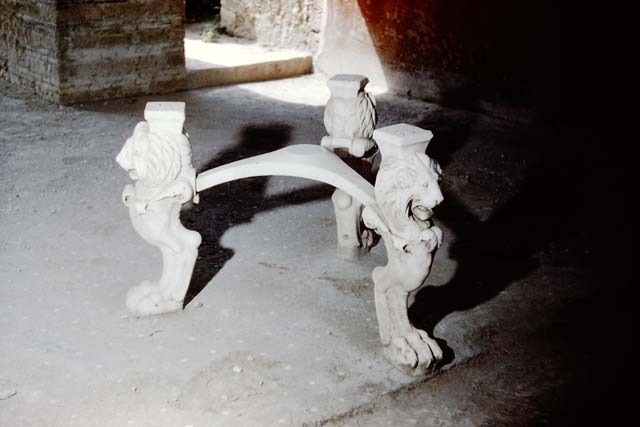 Marble tripod table legs with lion’s heads and paws. 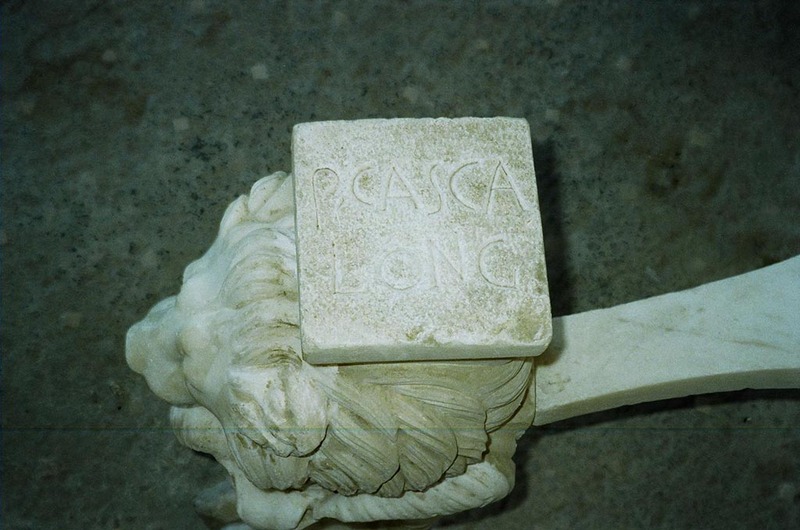 The inscription on the top of each leg identifies the table as having belonged to Casca Longus. He was the first assassin to strike Caesar in the Senate in 44BC. He died in 42BC along with Brutus at the Battle of Philippi in Macedonia. His lands and possessions were confiscated and publicly sold. The table was then or sometime later bought by the owner of this house. I.6.11 Pompeii. 1959. 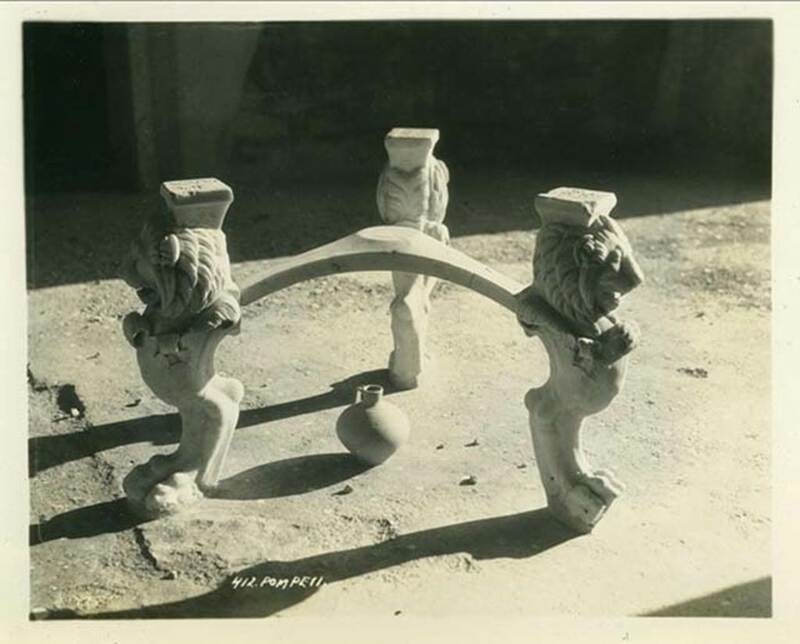 Marble tripod table legs with lion’s heads and paws. Photo by Stanley A. Jashemski. I.6.11 Pompeii. 1959. 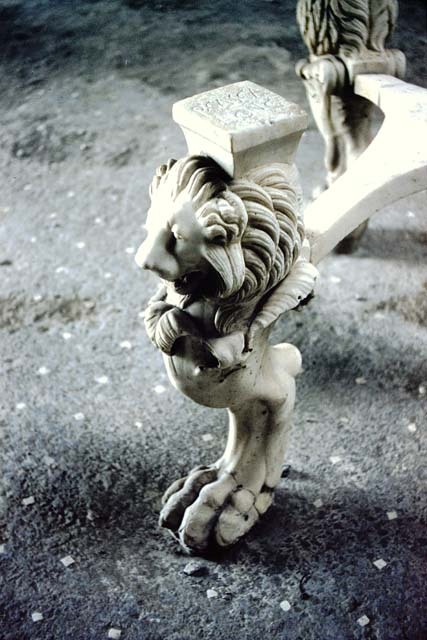 Details from marble tripod table leg with lion’s head and paw. I.6.11 Pompeii. May 2017. On top of the first table leg is P(VBLIVS) CASCA LONG(INVS). Photo courtesy of Buzz Ferebee. I.6.11 Pompeii. June 2010. On top of the first table leg is P(VBLIVS) CASCA LONG(INVS). I.6.11 Pompeii. May 2017. 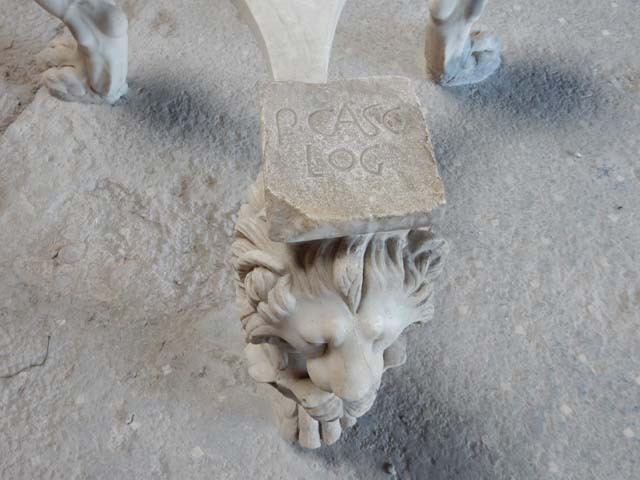 On top of the second table leg is P(VBLIVS) CASCA LO(N)G(INVS). I.6.11 Pompeii. June 2010. On top of the second table leg is P(VBLIVS) CASCA LO(N)G(INVS). I.6.11 Pompeii. May 2017. On the top of the third table leg is LO(N)G(INVS) P(VBLIVS) CASSC(A). I.6.11 Pompeii. June 2010. On the top of the third table leg is LO(N)G(INVS) P(VBLIVS) CASSC(A). I.6.11 Pompeii. June 2010. 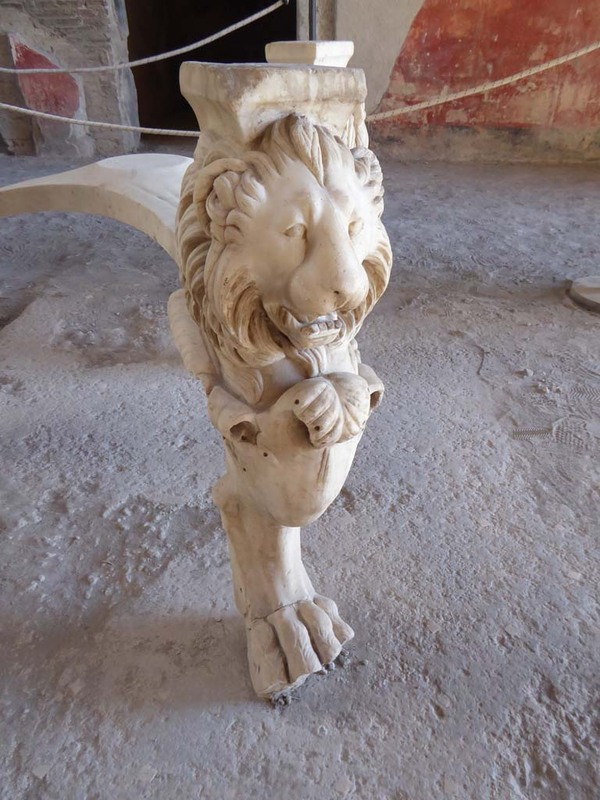 Lions head on front of the third marble table leg.